Ductless Mini Split Services for Longview, WA 98632 | Air Conditioning | Heating | HVAC | Kelso, WA 98626 | Twin City Service Co. The proper sized ductless mini split system for a home is never the same. Let our comfort specialist visit your home and determine what size system will be right. Our ductless mini split installation experts will custom design a system that meets all of your home comfort needs. Whether you are building a new house or if your current home needs a new ductless mini split system, we can tailor a solution to fit your needs. Our experts are trained to install all types of ductless mini split systems, but they will make recommendations on the system they feel best matches your home comfort needs and budget. Whether this will be your first ductless mini split system or a replacement for a less efficient system, our technicians will assess each situation individually, with customer comfort and satisfaction being the final deciding factor. Our qualified home comfort experts will walk you through the ductless mini split installation process and answer any questions or concerns that you may have. We look forward to working with you and can't wait to hear how happy you are with your new ductless mini split system. Your ductless mini split system is a lot like a vehicle. 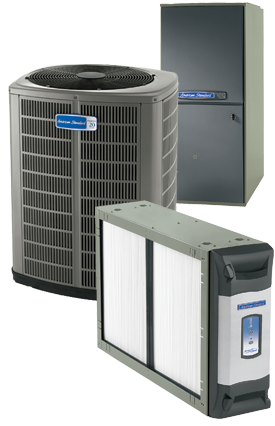 To ensure your system is running properly and at its highest efficiency, it is important to schedule an annual maintenance or tune-up. Our factory-trained technicians will ensure that your system is running properly so that you have peace of mind that your ductless mini split system will be ready for the summer season and operate at the highest efficiency possible. There are a number of reasons to keep up with regular ductless mini split maintenance. For starters, preventative maintenance can save homeowners a considerable amount of money over time because the ductless mini split system will keep operating at maximum efficiency, requiring less energy to cool your home. Maintenance also often prevents emergency repairs that can occur when a system isn’t properly cared for. Our technicians will spot warning signs of problems down the road and address those problems before expensive repairs are needed. Call to have our professional staff schedule a tune-up for your ductless mini split system. Sometimes ductless mini split systems break down. When that happens you can rest assured that our service technicians are trained to properly repair any make and model of ductless mini split system. Our staff will quickly get your ductless mini split system back up and running. Ductless mini split system failures can happen at the worst possible times. We discover them only when we go to turn our system on for the first time in the summer’s heat. When the system is off, there’s no way to tell that it wasn’t functioning properly. Not all ductless mini split repairs will cost a fortune, so it’s important that you talk to a knowledgeable service person about any issues you may be experiencing to quickly diagnose and solve the problem. Our ductless mini split technicians are highly trained and able to work on any ductless mini split system. Regardless of how old your system is or who originally installed it, we can take care of any issues that may come up. Most people don’t realize there’s a problem with their ductless mini split system until they go to use it on a hot summer day. It’s at these moments when you’ll need experienced technicians to get the job done fast. If your ductless mini split system requires maintenance or repair, our factory trained technicians can get your system back up and running in no time. The worst thing you can do is wait until your system breaks down. Get in touch with us today to learn about all of our ductless mini split services.